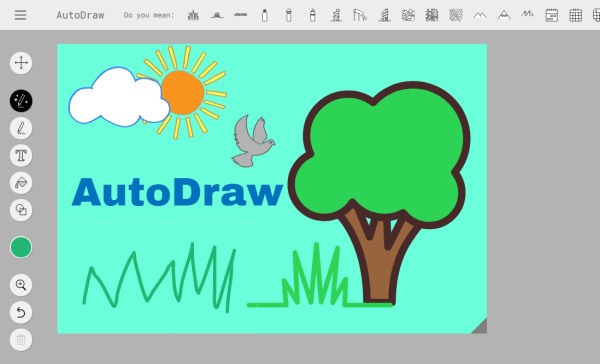 Machine learning and HTML5 technology are at the heart of AutoDraw. This Chrome Experiment analyzes drawings made by your hand. Then it asks you whether they match any of the drawings in its database. Even more awesome is that the drawings it shows you are creations by talented artists. So you can draw like an artist really fast even with little or no training. Draw a squiggly line, and it will give you suggestions as diverse as a cobra, ocean waves, and the Eiffel Tower—all professionally illustrated. 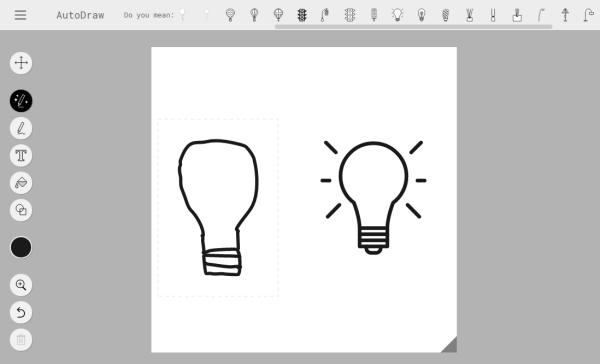 In addition to the AutoDraw tool, it has the regular draw, color fill, type, shape, and select tools. Click here to try this brilliant web tool.